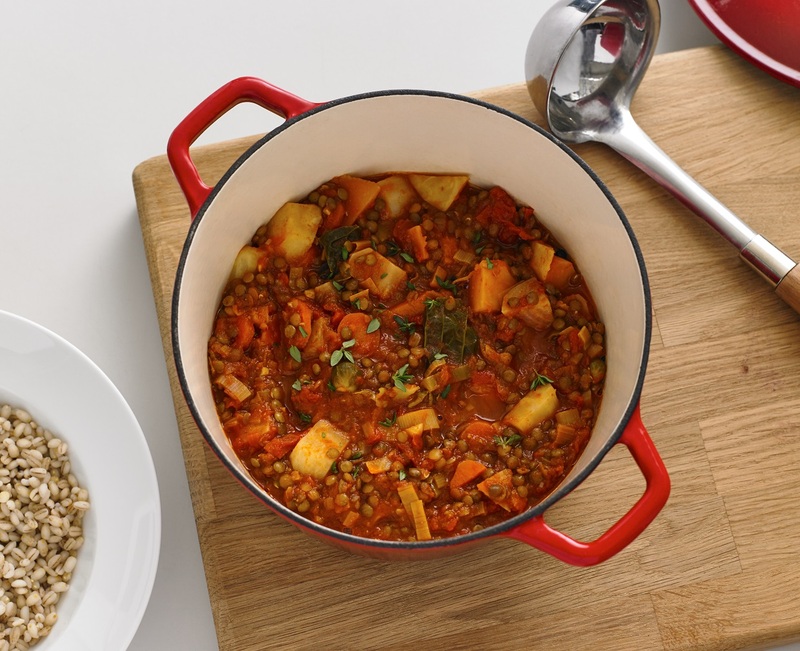 A hearty and wholesome stew, full of earthy wholegrains and root vegetables. 1: Preheat the oven to 200C/400F/Gas Mark 6. 2: Heat a large saucepan over a medium heat. Add the oil and, once hot, add the onion and cook until softened. 3: Add the carrots and swede (you can add more veg). Place a lid on and gently fry until softened. 4: Remove the lid, add in the flour and stir it in to coat the veg and soak up any cooking juices. 5: Add the stock, barley and thyme and stir to mix well. Simmer for 15 minutes to thicken. 6: Bring a large pan of water to the boil and add the sliced potatoes. Cook for a couple of minutes to soften, then drain. 7: Pour the veg into a large baking tin. Then arrange the potato slices over the top of the vegetables so they completely cover them. 8: Cook for 45 minutes, or until the potatoes are golden on top.